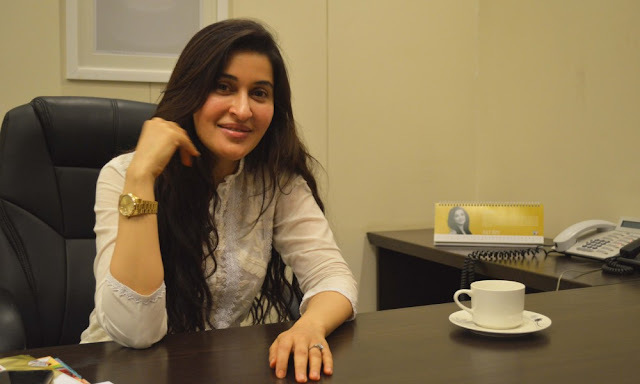 Watch one on one conversation with Shaista Lodhi – the leading face of Pakistan’s morning show. In a candid conversation, free of all controversies, Lodhi talks about her role models, her perspective on social media exploitation in Pakistan and her comeback in the industry. Also, in a rapid fire session, Lodhi shares her unreserved views on Pakistani media, her favorite food places, her clothing style and much more! Shaista Lodhi is all set to make a highly anticipated comeback on Hum Sitaray in a high profile show. 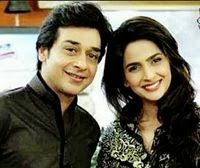 The newly wedded and former host of ‘Good Morning Pakistan’, Lodhi recently made her first appearance on Faysal Quraishi’s Jeet Ka Dum. Tell us about yourself and your journey into films? Jawad Bashir (JB): 'Maya' is my very first film. The most hard work I have ever done in my life was required in 'Maya'. Give us an insight into Maya: what is the film about and where did the inspiration come from? JB: 'Maya' is a true story. It’s a Danish tale which was told to me by my wife who also wrote it for me. I loved it when I first heard it and I wanted to share this incredible story with people. What can you tell us about its cast? JB: It’s a new cast and all are very promising actors. Are there any interesting facts about 'Maya' which you would like to share? JB: 'Maya' is the only Pakistani horror feature film in two decades. With Pakistani Cinema emerging and a variety of genres being tested, what role do you think horror films will play in the revival of Pakistani cinema? JB: Nobody is daring to make a horror film because it’s the most difficult film genre to make but we did it and it's definitely the most daring and important contribution to Pakistani cinema. Do you have any other projects which you are currently working on? JB: Just 'Maya' right now. 'Maya' has now released in cinemas so is there a message you would like to share with our readers? JB: Support Pakistani cinema and go and watch 'Maya'! 'Apnatvzone' would like to thank Jawad Bashir for taking out time to speak to us and we wish Maya all the best with its theatrical release. Sadaf Zarrar, the founder and editor of SiddySays invited Fawad Khan over for a casual tete a tete! A little insight into the ‘real’ Fawad Khan, what you don’t see on screen!.. Watch the video to find out more! What can you tell us about '3 Bahadur' and what prompted you to make a feature length animated film? 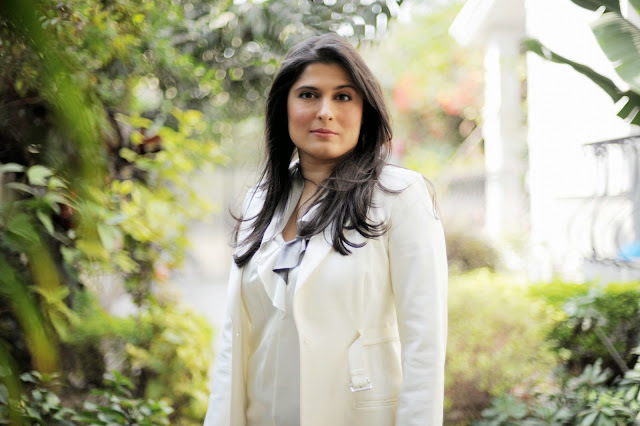 "Sharmeen Obaid-Chinoy (SOC): I had wanted to do something for children for a long time. Pakistan has a very young population and a booming media industry, but we have stopped producing quality content for children. All of our content is imported, from animation to variety shows, and thus our youth grows up with mentors and heroes that are far removed from what they see around them in real life. I felt that it was about time we produced light-hearted, quality content for children locally so that our children can finally see characters who look and speak like them on the big screen. '3 Bahadur' is replete with all of the makings of a blockbuster entertainment piece – menacing villains, unlikely heroes, fumbling sidekicks and a solid dose of humor, triumph and tragedy. It is about three young friends who, equipped with superpowers, set out to save their town from the evils that plague it. Who would you say is your target market for the film, and do you think there is market for animated films in Pakistan? SOC: '3 Bahadur' is going to be groundbreaking because it provides quality entertainment for the whole family. Children will be mesmerized by unlikely superheroes, menacing villains, and fumbling thugs and parents will be able to relate to the everyday issues faced by the characters. The growth of the animation industry will depend on how content like '3 Bahadur' is received by audiences. If we can sustain the interest being created now, we can achieve exponential growth over the next 5 years. The talent is there, the skill is there, and the passion is palatable – we just need to make sure that our audience responds as positively to animation as we did. The 3 Bahadur comic is published each week as part of the film’s marketing and promotional work and you are also working on a website and a mobile game app – tell us more about this. SOC: There is a lot of activation that we are doing around the film. This unprecedented promotional engagement commenced beginning of this year with weekly '3 Bahadur' comic strips being published in Young World. The comic strips series showcases side adventures of the '3 Bahadur' gang fighting issues that the common Pakistani man faces on a daily basis. We will be launching a dedicated website for '3 Bahadur', with detailed information on the film, its story and characters and downloadable content such as photos, music and exclusive behind-the-scenes videos. We are also creating a '3 Bahadur' game for Android and iOS based platforms and a graphic novel. How do you see '3 Bahadur' contributing to the revival of Pakistani cinema? 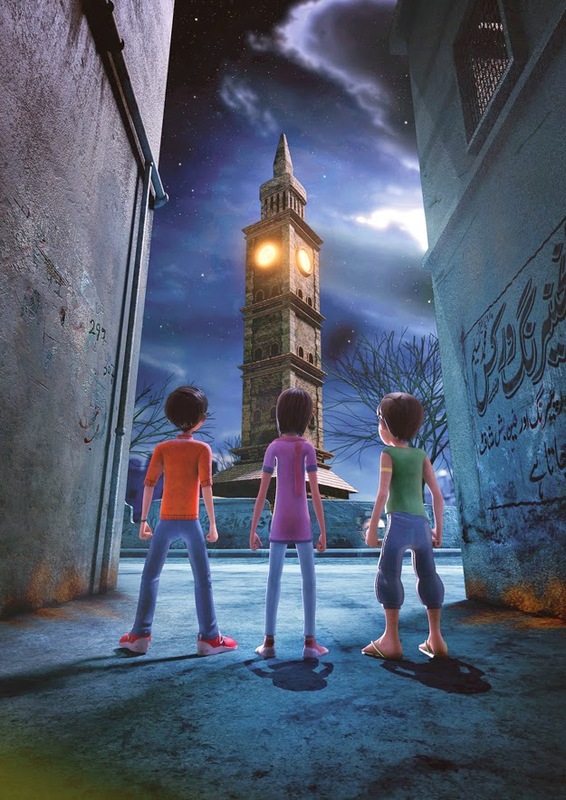 SOC: '3 Bahadur' is filling a gap in Pakistani cinema. In a country of 180 million people, the resurgence of cinema is occurring at a rapid rate. An unprecedented amount of multiplexes are springing up all over the country to cater to growing demands for quality entertainment. Pakistan has one of the youngest populations in the world with about 42 percent of people under the age of 14, yet there is virtually no original children’s programming in theatres or television in the country. How challenging was it to make a high quality animated movie in Pakistan with the available resources, expertise and materials? SOC: I was nervous because I had never worked in animation before, and documentary films are very different in terms of content and style. When we started working on '3 Bahadur' back in summer of 2012, it was an uphill climb -- putting together a team, learning how animation works from the initial sketch to the final shot, and diving into a medium that is both expensive and time consuming. What surprised me was the ease with which we found exceptional illustrators, writers, animators and visual effect artists and, with their help, we found our pace a few months into the project. There are so many talented illustrators, writers, animators and visual effect artists in Pakistan but unfortunately we haven’t done them justice in this country. We have not given them the space and resources required to show off just how talented they are. We have all the ingredients to one day be a nation that produces multiple animated films every year, and I am certain that '3 Bahadur' will play its own small role in expanding the industry and getting more people interested in what animation has to offer. When and where will '3 Bahadur' be releasing? SOC: It will be releasing 22 May! What message do you have for our readers who are looking forward to the release of the film? 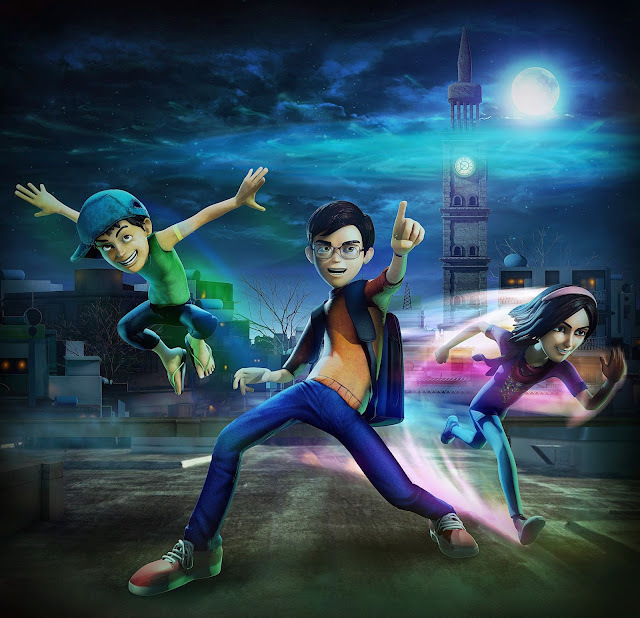 SOC: From its character to the team behind it, '3 Bahadur' is a purely Pakistani production. We have taken special care to ensure that the story remains very local; from the way we have designed our characters, to our dialogues and our script. We want to prove that Pakistan can pull off such content, and we hope that you enjoy the film! 1. Tell us about your early childhood? I always see my childhood as a blessing. My relationship with family has always been particularly strong, especially with my mother who I also consider a friend. I was very open about everything in my life with my mother and over time, this bond has strengthened furthermore. I am used to discussing and sharing every aspect of my life with her to seek advice. I hope this does not change anytime soon! 2. Where have you spent your early years (city/vicinity)? Please share with us fond memories of your childhood. I have been a Lahori girl from the very beginning! As a child I grew up in Cantonment in Lahore with my brother and sister. I was pretty much a tomboy right from the start and used to spend time with the neighbours and the neighbourhood kids in a diverse range of activities. I remember that we used to regularly camp in our family home’s lawn. We also paid frequent visits to the market for firecrackers ! It was fun and exciting passage of time and one that I truly relish. 3. Was acting something you had always wanted to do? What was it you always wanted to be, even as a child? Since I was 4 I knew that I wanted to be an actor. It was something that my family was initially against, but after completing University it was a passion that I decided to pursue full time. I’ve always been an actor first, and then a host and then a model. Acting has always and will always be my original passion. 4. Tell us about your initiation in the media business? I started professional acting under the name 'Jay Kazim' in Toronto, where I was also approached by a Canadian modeling agency for representation as a commercial model. I also acted in two music videos and was then approached by my then current Canadian agents. With them, I starred in an advertisement for a well-known beverage company which ran for two seasons due to its popularity. I also completed numerous other commercials coupled with my work in theatre which eventually led to my audition for a lead role in a Canadian feature film. In Pakistan, I had been performing and doing theater in Alhamra since my teens. My close friend Mashal Peerzada was the one who introduced me to the world of practical acting, which is not something which I had actively pursued on my own, but just kind of happened! As a workaholic I usually find myself immersed in several different projects at the same time! 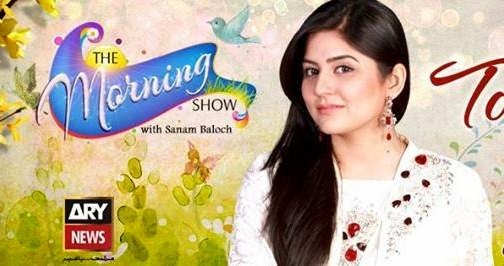 At present, I am the host of Morning with Juggan on PTV Home, a platform which I have been associated with for a while now and which we have revamped with fresh content and a new outlook. I am also the local spokesperson for Garnier, an amazing hair-care and skincare brand with whom I’ve been associated with for the past 4 years. This is a brand that produces safe products made from natural ingredients, which I use myself and wholly support. I am currently a part of the brand’s campaign for their new Color Naturals product line which is very exciting. I am also in talks regarding a few movie roles, something which I’m looking towards getting back into a big way. Let’s see how it goes! 6. What is it about showbiz that appeals to you most? To be honest it’s not Showbiz that appeals to me but the art form of acting which has drawn me into this career. For me, acting and being in the limelight was a way for me to bring about change, to educate and to clear misperceptions about society, culture and our country. I’ve never been an overly glamorous person and therefore have never been truly fascinated by the dazzle and glamour of Showbiz. I’ve always been the girl next door person, who pursued her career for the passion of the craft rather than the glitz of the industry. 7. Don’t you feel it’s more about exposure today as opposed to acting talent meaning whoever is ready to expose will bag the lead role? It’s about both. If you’re not talented and you have not worked upon honing your craft, exposure won’t do you any good. You can have good marketing skills, public relations and know the right people, but you must have talent. Exposure does help, but if you don’t have talent and you don’t work on your craft you will not be good in the long term. History is full of examples of one-hit wonders who came into the limelight, became the talk of the town and then fizzled away. It takes dedication and hard work to make a name for yourself in the industry. 8. Would you readily take on bold roles if you feel it fits your character? For me a bold role is one which challenges me as an actor and as a person, which is something which I am always willing to do. As an actor, too often you are typecast into playing the sultry romantic lead or playing the doting wife / mother etc. Any role which breaks away from the norms and integrates a unique dimension of the human condition is something which I would always want to actively pursue. 9. Previously there were no intimate scenes in television plays. Even holding of hands was forbidden. However, today there seem to be no limitations. Do you feel what is being shown on TV today is in accordance with our values and culture? As a nation and culture, we have to realize that romance, intimacy and human emotions exist and are a part of the very fabric which define us as humans. It goes without saying that too much intimacy and exposure does portray the wrong message and can be distracting, but at the end of the day people do fall in love and they do go on dates. It’s only if you show this aspect of human nature can you appropriately address its ramifications and consequences. If dramas show characters who engage in affairs on the screen, it is only because people do engage in affairs in real life. Whatever is show in dramas is usually a reflection of real life and we should be careful not to confuse human nature with acting. 10. How come you haven’t tried your hand at ramp modelling? Ramp modeling has never really been my cup of tea. One of the major reasons I stayed away from this vocation was that I was a bit overweight early on in my career and more importantly; I just didn’t have the height for it. I think that women who model are graceful, elegant and tall! Brands do invite me to be their showstopper and walk the ramp during their showcase, but my modeling career is pretty much limited at that for the time being! 11. Who is the real Juggan Kazim? Good question! The real Juggan Kazim is someone who likes to keep to herself. I am a workaholic but I’m also more a homebody than many people realize. The glitz and glamour of my career is a separate part of my identity. Something else that not many people know about me is that I love cooking, especially for my family. Away from the world of media, I’m very much a girl next door who likes to spend time with her family. 12. Where do you see yourself ten years from now? In 10 years, in addition to still being the host of my Morning Show I would have liked to have opened my own restaurant. I also have plans to get back into working in movies full time and hope to have worked in several major projects in 10 years’ time. I see myself as a successful entrepreneur and look forward to branching out into different areas. 13. If not an actor then what would it have been for you? I probably would have become a chef! People seriously underestimate my love of cooking! 14. Words of wisdom for our readers? The most important thing in the world is to love and respect yourself. When you do that you achieve an inner peace and serenity and everything in your life becomes easier. If you can’t be happy with yourself you can’t do anything to make others happy. You must work hard to improve yourself and improve others. My family! My husband and kids, both his and mine. Pop star turned actor Junaid Khan has made an impressive mark on television, portraying eclectic characters on critically acclaimed serials. The lead singer of popular band Call has carved out a successful small-screen career and is currently delighting audiences in new serial Nikah. 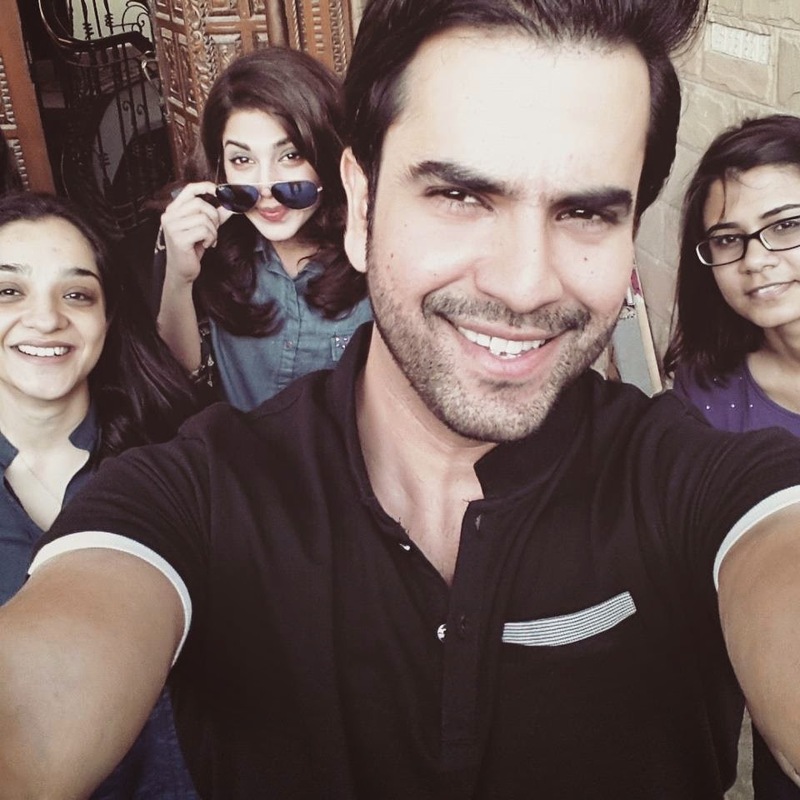 Fans have been bowled over by his presence in the popular Pakistani drama, which is drawing a cross-generational audience. Eastern Eye caught up with Junaid to find out about his latest serial, acting, future plans and why he will never leave the music scene. Which was your first love when you were growing up – music or acting? I always wanted to go on stage and perform. I guess that was why I started doing theatre and music, but then chose the latter as my passion as I found it to be a much better creative outlet. Music will be my first and last love always. You had a successful music career, so why did you switch to acting? I didn’t switch – I am still doing music now and I am currently working on my first solo album. But the music industry overall isn’t as visible as it was before, so it seems that I have lessened the amount of music I used to do. Which of your serials have you enjoyed most? In terms of performance and also visually, I loved playing Adam in Mata-e-Jaan. In terms of public response, I would say Yahan Pyar Nahin Hai was the highlight of my acting career. How do you feel you have evolved as an actor? Like any field it’s a continuous learning process. I am still evolving as an artist and a human being. The process is never ending, but I’ve been lucky enough to be working with the best of this country, hence the process has been easy. Tell us about your latest serial? Nikah, which has just started on HUM TV, is a romantic love story starring me, Sonya Hussain and Sanam Chaudhry. It is a love triangle. My character Rohail is an outgoing person with ambitions to study abroad. His uncle’s unfortunate sudden death leads to him having a nikah (wedding) with his cousin Ayesha. It was his uncle’s last wish, so before he sets off to build his future they hold the ceremony. A few years later, Rohail has some news to share with his family. Who will this serial appeal to? 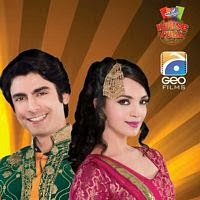 The serials usually are made for our lovely housewives, but Nikah would appeal to a wider audience. It will engage the youth as well. What is the best and worst thing about acting in a TV serial? The best thing is you become a different person – to portray an entirely different character as per the script is always interesting. I haven’t come across the worst angles of this field as yet. Can you see yourself making the move to Bollywood like other Pakistani actors? Of course the big screen is the eventual step that every actor needs to take. So yes, I will make the move when something great materialises. Do you have any unfulfilled musical ambitions? I’ve won awards, performed worldwide but still I can never get enough of music. I can’t think of any particular ambition, but I know there is a lot more to do and achieve. I am not sure, but I guess I come across as quite aggressive on screen, which I am not in real life. I am quite calm and that is maybe because my aggression has been tamed by a musical side, which is actually quite aggressive. What is your best and worst quality? I am quite relaxed and calm generally, which I believe can be taken in a wrong way sometimes. I have always been fond of Amitabh Bachchan’s work. The versatility of being able to get into any character has been his best quality. Finally, why should we all tune into Nikah? Nikah’s story is one most would relate to, so it will be appealing to watch. Plus the story will grip the audience – they will be interested to see what happens next. In this video Aamir Khan taking an interview with women right activist in which they are highlighting the injustice and biasness with the women of the third world countries. Reham Khan who got married to the iconic sportsman and a trendsetter politician Imran Khan yesterday gave her first interview via telephone to Dawn News. While talking about what attracted her to Imran Khan she said something which many people would not have expected her to say. Reham Khan also said that being a parent herself she knew that being a responsible parent was a tough job. “I was looking for a man who would be a good role model for my children…. Pakistani men should emulate Imran’s example,” Reham Khan said in her interview. Reham Khan also said that generally Pakistani men love their daughters a lot but do not give the same amount of love to their sons. Reham Khan also said that she was not expecting to meet the right person at this time but instead she found one who was most right! Reham Khan says that she is not interested in taking a direct part in the politics of the country. “The type of politics in the current environment do not appeal to me…That’s not my calling in life……I am interested in politics as a journalist, observer and historian,” she said. Reham Khan started her interview by thanking all those people of Pakistan who rejoiced this moment with her and Imran Khan and the second most important things she stressed on was that money and fame did not mean much to her. Reham Khan said that her impression of Imran Khan was totally different before she met him. She said that Imran Khan is a very simple and loving person. 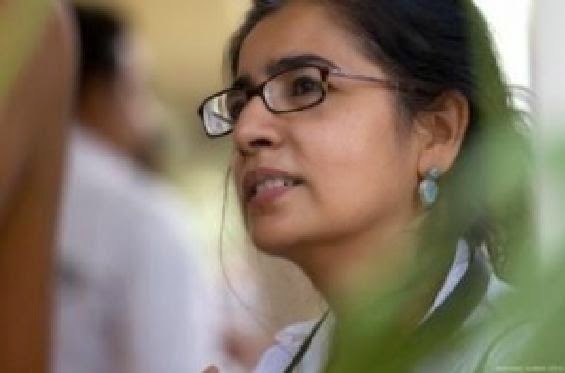 Sabiha Sumar has won worldwide critical acclaim for documentaries and narrative films like Saving Face, Khamosh Pani (Silent Waters), Dinner with the President and Who Will Cast the First Stone. What can you tell us about Good Morning Karachi (GMK)? Sabiha Sumar: GMK is a coming of age story of a young woman in Karachi. The movie shows the journey of a young woman called Rafina, who has a dream of becoming a star in modeling, and how she tries to create her own destiny. The film is uplifting and inspirational and will particularly appeal to youth as it is their story that will come to life on screen. The film is in Urdu and English. I am really excited to screen my film in Pakistan at a time when our cinema is slowly emerging and coming into its own. Tell us about the cast? Sabiha Sumar: I had a wonderful cast to work with this time. I worked with both new and old actors for this film and the teamwork between them was excellent. They were dedicated and gave a lot of their time to make this a really good film. It was Amna Ilyas’s first film, so I had to coach her for couple of months before shooting, and she was very keen to learn. I think that dedication is really important in order to perfect the craft. Saba Hamid, in my opinion, is the Meryl Streep of Pakistan. She is always flawless in her play and is a very intuitive actress, who understands exactly what a scene is trying to say and delivers it. I cast her because I remembered her from all the old dramas on PTV. In GMK, she was, as always, amazing and wherever we screened the film, everybody noticed her. Khalid Malik is another well trained actor. He is sincere and versatile. Then we also had other professionals from the television industry such as Savera Nadeem and Farhan Ali Aga, both very good. It was an exciting and diverse group to work with for GMK. Where did the idea for Good Morning Karachi come from? Sabiha Sumar: The idea for the film came from Shandana Minha’s novella, Rafina. I loved the idea of a film showing the life of a young woman in the fashion industry. When we decided to do this story, however, we had to make many changes in our screenplay. The film is based on many real-life characters that I came across during my research for the film. The opening up of the media in Pakistan created many glamorous jobs for the youth in the industry, especially in fashion. The fact that Pakistan was completely unprepared for this, having invested nothing in a film school or a TV academy, was ironically a silver lining for us at that time. The lack of an ordered system gave many young women and men a chance to come out and prove themselves as film and television actors, TV anchors, talk show hosts, writers, technicians, producers and production designers. Rafina’s story mirrors the lives of these countless urban youth. I am sure that when people watch the film, they will see their own dreams and hopes reflected in it. "The movie shows the journey of a young woman called Rafina, who has a dream of becoming a star in modeling, and how she tries to create her own destiny." The film has been screened at film festivals around the world, what kind of response have you received from the audience? Sabiha Sumar: The film premiered at the "Goteberg Film Festival" in Sweden. We had three screenings there; all of them were sold out and the audience loved the film. It really pulled the Swedish audience out of their comfort zone and questioned their previous understanding of Pakistan. We had gone there as a delegation of 14 in all, including our main cast and crew. And it was a very moving experience for us all. All the question and answer sessions following the screenings were really interesting. Foreign audience's were amazed at how urban Pakistan has changed so much over the last few years. We had many questions about the fashion industry, as unlike in the West where the industry exploited women, fashion in Pakistan had really enabled women to shine. Most of the audience’s were young people and they engaged in these sessions passionately. The film was previously titled Rafina, before it was re-titled Good Morning Karachi, what was the reason for the change in title? Sabiha Sumar: Rafina is the name of the protagonist of the film. We thought it would be a suitable title, since the film is about this young woman’s struggle to achieve her dreams. However, when the film came out we realised that the film is about much more than that. It is as much about the city where Rafina lives, as it is about her. GMK lives and breathes Karachi, and Rafina’s story is about the countless number of people who live in this city or who have come here with a dream. With over 20 million people, Karachi is one of the fastest growing metropolises in the region and its sheer diversity and opportunities cannot be easily matched by any other city in Pakistan. It is this space that allows Rafina to grow. 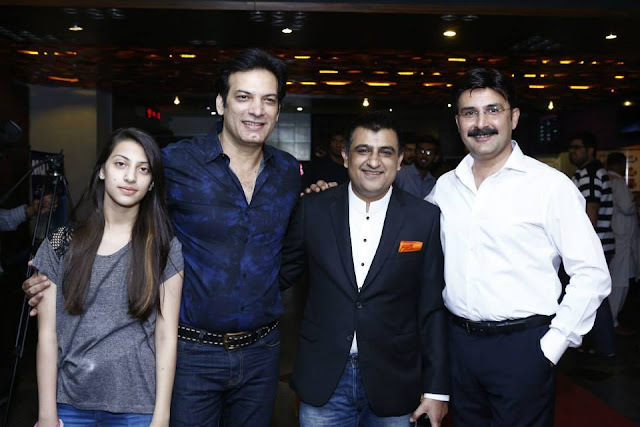 Therefore, we felt Karachi was an important component that shouldn’t be lost when people come to see the film. "I am sure that when people watch the film, they will see their own dreams and hopes reflected in it." Are there any surprises in store for the audience during the screening of GMK? Sabiha Sumar: We have a lucky draw that is advertised on our Facebook page. Every advance ticket bought for GMK for shows at 'Cinepax Cinemas' at 'Ocean Mall', 'II Talwar' or 'City Auditorium', 'Ayesha Manzil', 'Federal B Area' can compete in the lucky draw. Cinema fans should just have to post their ticket number on our Facebook page and check at the ticket counter when they go to see the film. They could be the lucky winner(s)! Our gifts are especially designed for women or the special woman in your life: be it your mother, sister, wife or daughter. We have more than 500 gifts to give away. Sabiha Sumar: The film has something in it for everyone. Especially for young people, who can relate to Rafina’s ambition and her struggle. It’s a momentous time for us in Pakistan as we are able to enjoy movies once again in cinema halls. My hope is that people will go out and enjoy that experience and watch films made in Pakistan alongside films from outside. "Good Morning Karachi releases across Pakistan on 1st January 2015, contact your local theaters for listings and bookings." Ayesha is one helluva charmer! This talented eye-candy has a twinkle in her eyes and a skin that reminds you of whipped cream with strawberries. She laughs, she cracks jokes about herself and appreciates her own work. But also plays hide and seek, craftily dodging questions when I try to dig deeper about her personal life. A graduate of the National College of Arts, Ayesha has been a singer and an actor for most of her time in the entertainment industry, but she confesses she misses her painter-self the most. Still aiming for the skies, the bubbly starlet reveals her passions and pursuits while sharing a few regrets. Have you achieved what you had aspired to before you entered the world of showbiz? I have never really aspired for anything except for self-respect and integrity but professionally I have a very long way to go. I am not a very ambitious person. I don’t have an aim which is quite wrong because it is easy for people to get to their goals when they set standards. I am very impulsive. I believe in having fun – be it theatre, drama or a film. My criterion does not involve money. I don’t run after moolah because I am not here to fill up my bank account. I only believe in having fun because this time won’t return, even a billionaire cannot bring back his youth. Tell us about your upcoming movie Yalghaar. How did it happen? I had no intention of working in movies because I have grown up seeing Pakistani movies which lacked substance. 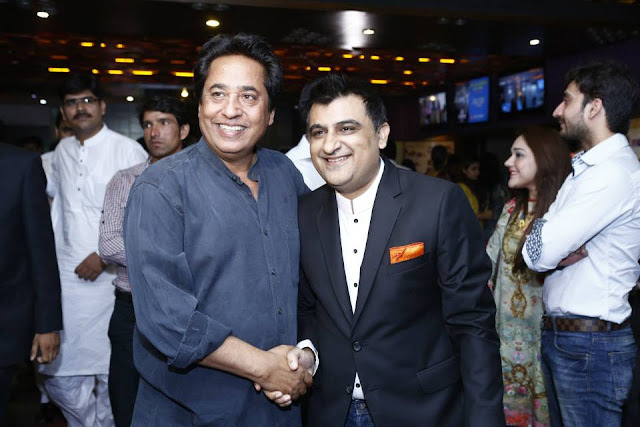 I met Waar producer Hassan Rana at the screen launch of the movie and he offered me the lead role in his next flick. I was auditioned, interviewed and now I have signed two projects with the company. The best part is that this is not a glamorous commercial movie but very apt for our contemporary cinema. I hope to do a variety of movies. I feel that there must be a variety of everything. You can’t seize cinema to a genre. From a child star to a popular celebrity, what’s one thing that Ayesha misses the most in the limelight? The anonymity of walking into a supermarket when there is no one to recognise you. It also feels great to get the love of your fans and I am grateful to God but sometimes I feel the urge to sit in the corner without being judged. What I miss the most is lack of privacy. 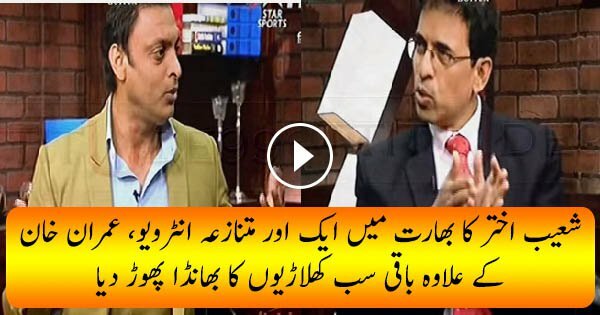 Celebrities have to face heart wrenching scandals and rumours. How difficult did you find working in a movie after acting for theatre and TV? It wasn’t difficult but it was really different and challenging. The role was written for me. So far we have completed 50 per cent of the project and I am applauded by the director for my performance. From photo shoots to commercials you have done it all. How did you master the art of romancing the camera? I don’t consider myself a model (laughs) and I’ve no clue how to romance with the camera because I am not good with my angles and posing. My good shots are a coincidence or a photographer’s skill. Ayesha Omer – the singer hasn’t explored much, why? Yes, because we cannot do everything at the same time. If this year, I am acting, probably next year I will be focusing on singing. What’s your secret of success? I’ve not achieved success as yet. There is a long way to go! I believe one has to be confident and just turn a deaf ear to what others are saying. Concentrate on your part of the job and leave the rest. That’s it! So how do you handle paparazzi and the constant media attention? I don’t think I am that famous. I believe in simple living and high thinking. I love doing my own work. My life is very normal. Many won’t believe my word but I cook and wash dishes. My co-stars know that I make salads on shoot all the time. It’s really not a big deal! Any plans to get back to the canvas? Well... I miss it. I have been thinking to come back to painting and particularly a recent incident has provoked me. Our life is ever growing. We make mistakes on daily basis, we experience and we learn so this is how we grow. I have found my subject and very soon will work on it. Painting will never be my profession it is my passion that I enjoy in my me-time. "My idea of a perfect man is an imperfect man." How important are social media interactions for you? I am not on Twitter neither on Instagram. I don’t update statuses of my projects otherwise I won’t get time to work if I keep myself engaged in this activity. There should be limitations in interactions too. Live in the moment and when there is a will there is a way! You are often blamed for being finicky and throwing tantrums. How would you defend it? I don’t want to defend it. I love being choosy in fact I must be more choosy which I am not and I should live up to that level. I commit with everyone to work without thinking and then I regret. You have to be at guard in this field, it’s a must! Who doesn’t? Regrets are a part of any normal life! We stumble and fall, only then we realise our strengths and weaknesses. I have commitment phobia and dislike it a lot. I don’t back out after giving a word, even if it makes me feel terrible. I collaborated on a song with some singer from UK and it turned out to be worse than I imagined. I didn’t earn a single penny for that just because I had accepted the offer earlier. I admire people who can say no. I regret certain projects that I signed for but then again life is an ever learning experience. I appreciate those who can say no to projects. But I learnt from my mistakes and this is life. How would you define Ayesha Omer as a person? My principles are very strong. I’m high on life. I don’t back bite but I am blunt and straight forward but then again I have a very soft heart, very caring and forgiving. I can keep myself at stake for my friends and family. I want to enjoy, travel and have fun. Yes that’s me. It’s different for different moods. It could be a great movie with somebody or simply staying at home because it is not about the date but about the person. Nobody can enjoy at an expensive dining place with a hard-to-bear person! Your idea of a perfect man? My ideal man is an imperfect man. Perfection is not in humans. A man who is ready to grow with you or learn through his mistakes is my ideal. He mustn’t judge a woman. I won’t get along with anyone who doesn’t value good food, not junk food. It is also important to share a good laugh with your partner so somebody who can tickle my funny bone. Ever had any crushes in life? Lots of crushes since I was sixteen years old, but not any particular story. I have always had a crush on Aamir Khan, Ranveer Singh and recently Aditya Roy Kapoor, then Farhan Akhtar, what hotties! Adnan Pardesy is known for his imaginative designs and stylish cuts, his collection remarkably rocked the fashion endeavors in up-to-the-minute fashion planet. He has earned enormous popularity in just a short span of time and each year he brings on floor the most astounding collection in casual and luxurious party wears. Adnan is a graduate of the Asian Institute of Fashion Design. The designer introduced his first designer label in 2007. Adnan Pardesy has a very strong textile manufacturing background. Adnan Pardesy defines his design philosophy as minimalism with structured and architectural designs. In such a short period of his career Adnan has made an impact on both international and the local market. Adnan Pardesy has exhibited his exclusive collections at different promoting platforms. 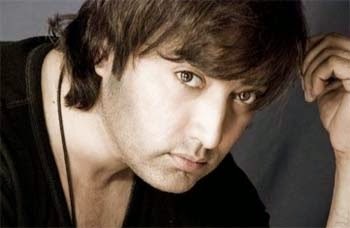 Since his debut appearance at PFDC Sunsilk Fashion Week 2011, Ogaan Delhi in 2010 and Karachi Fashion Week in 2008. Recently, Adnan Pardesy showcased his elite bridal collection at Fashion Pakistan Week 2014 on Day 2. The designer presented the fusion of modern and contemporary bridal range in the second last show. Adnan Pardesy collection “labyrnith” truly based on luxe fabrics including silks, crepes, chiffons, charmeuse silk and net was a fusion highly appreciated. The FPW 14 collection unveiled out in main product lines of bridal wear, casual wear and party wear along with the western dresses design. 1. What’s the collection name and what it signifies? Our collection is called Labyrinth, which means an intricate combination of paths and passages in which it is difficult to find ones way or to reach an exit. 2. What is your inspiration for this collection? The collection is a display of weaving techniques dominated by monochromatic whites, Ivories and blacks. For “Labyrinth”, Adnan Pardesy took inspiration from psychedelic Patterns and weaves along with Japanese weave structures, Chinese floral patterns, Forest abstracts, Kalamkaari, Japanese Geisha, and Greek temple landscape imagery African tribal motifs, stencil technique tattoos, contemporary art with abstract imagery and Islamic pattern compositions. 3. In your collection which fabrics did you use? The collection is based on luxe fabrics including silks, crepes, chiffons, charmeuse silk and net. 4. What kind of silhouettes and details Labyrinth has? Well-structured tapered jackets, simple clean lines, graphic details, intricate hand embroidery with fabric manipulation and labyrinthine fabric twists and drapes. 5. What kind of challenges have you faced making this collection? It's been very challenging to achieve this collection technically. There has been so many techniques we have used that had to be taught to the stitchers and embroiders in order to achieve the right technique as well as the look and most importantly get the finish. I have had to literally spend most of my time in the last couple of months with the artisans as well as the design team to get it right. It's such a simple collection in the end that mistakes, minor errors are unacceptable. 6. How does this collection reflect the growth of your brand? I have shown embroidery for the first time on the FW ramp and it's pretty unusual in terms of technique as well the look and I am very excited about. I think as a brand we feel it's a brand new feel to our product something we had set out to do and had been working at it for a while and now that we feel relatively happy will be out there for people to see. 7. How long did it take to create Labyrinth? It took 3 months to from research to fully executed collection. 8. Describe your signature style? I define our design philosophy as minimalistic and employing structure and architecture as the inspiration for our designs. We are pleased to be a part of FPW since its beginning, and it is very heartening to see that designers are provided such a platform to showcase their talent. With an emerging market such as Pakistan’s, fashion platforms such as FPW play a significant role in building the economy of our country. 10. Where can we buy your ready to wear line? Currently we are only doing made to order but our ready to wear line is to be launched soon for which we will announce date and location later. Saud film Actor Interview .. Morning with Farah interview with Saud, film actor. Saud started his career with Pervez Kaleem’s film Gunnah in 1993. He was later cast by Syed Noor for his blockbuster film Hawain. Saud has worked in more than 200 movies. His other notable movies include Pal Do pal, Chaudhrani, Ziddi, Khelona, Sapnay Apnay Apnay, Hum Tumhare Hain and Devar Bhabhi etc. Watch Anushka Sharma talking about her latest film PK starring Aamir Khan, Sanjay Dutt, Sushant Singh Rajput and others exclusively on T-series. 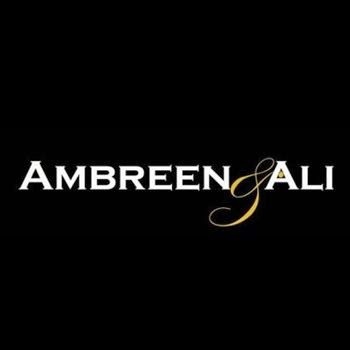 Ambreen Ali, a Fashion Designer with the fashion label name ‘Ambreen Ali’ is a highly professional yet talented fashion designer in Pakistan. Ambreen recently launched its designer label for the fashion seeking women of all ages. Studied from University of Scranton, Pennsylvani with specialization in Marketing, Brand Management. Ambreen is a very creative fashion enthusiast who has made her name in a very short span of time. Her designs ethos are magnificently imaginative, enchanting and alluring. I graduated from Lahore School of Economics and completed my post graduate degree with majors in Marketing from University of Scranton, Pennsylvani. I started my career as a banker at Bank Alfalah Pvt Ltd. After few years I thought of stepping into lectureship and taught diligently in Lahore School of Economics. Also taught in Lacas for a year or so. I am happily married lady with 2 sons. I belonged to a bureaucrat family. My husband was also a banker. 2. What are your biggest strengths? My biggest strength is my self confidence that I receive from family and husbands support. They have equally supported me through the entire thick and thin. My passion for work, hardworking nature and determination are the key strengths of mine that make me achieve my goal efficiently and quickly. 3. Whats your star and Date of Birth? I am Sagittarian, born in 1977. Started from a very different career path, I mutually decided with my husband to start up our own fashion label leaving behind our banking jobs. It was very risk aversive of us to took this decision , spent all nighters to came up with the most solid plan on how strong we need to position our fashion brand when they are already so many in the league. 5. What skills are important for a successful career in fashion design? In my opinion, designers have to either combine marketing intelligence or artistic vision themselves. Diligence, compassion and persistence by keeping up the quality work. Creative and technical skills are the most sills a fashion designer should have. Along with sketching and constructing original products, designers constantly study the industry to stay informed of current trends and to be able to forecast future styles. 6. Have you gained any hands on experience via professional training? Yes I have gained hands-on experience through internships and assistant positions. I complete 4 fashion designing diplomas to gain insights to develop the most trendy outfits for the variety and fashion seeking women. 7. In what general area of design do you work or wish to work? The areas are generally divided into two groups: Hot Couture fashion (where unique cat-walk garments are created mostly without practical considerations). Pret a Porter (small collections), Bridal Wears (high end fashion) – you will be appreciated and find plenty of work. 8. How do you stay up to date with fashion? I am a good reader and a perfect listener when it comes to fashion. Mostly stay current by reading magazines, browsing the internet, attending fashion shows, and studying technical manuals. I have studied the history of fashion to better understand its development and current tendencies. 9. Which fashion designer you ideal the most? In my opinion Nilofer Shahid, Bunto Kazmi, HSY and Karma were the pioneers of bring the chic fashion in Pakistani Fashion Industry. 10. What is your favorite part about being a fashion designer? Being apart of this field is very exciting and you can’t actually identify which part to pick but still there are some. I think that the most important and challenging part of the process is when you translate your drawing into a real piece and it appears the same you conceptualized it. Working with the fabrics and other textiles always require lot of knowledge, you can come across many difficulties because the materials might be problematic, or perhaps the idea on paper is not that easy to bring into reality. The other important factor is when people start recognizing your brand and spread word of mouth endorsements about you label. For now, I plan to stay close to what is trendy and most in demand in fashion in order to acquire more experience and learn more about the famous eastern style. I’m also working on my first Fall/Winter collection and staying open to other interesting opportunities. I want to make my name in the fashion industry as the most reasonable yet stylish designer label that could meet the fashion needs of women belonging to all age groups. Mehwish Hayat, actress, model and dancer. In 2008, UK’s Eastern Eye magazine ranked her ninth in the list of “Sexiest Asian Woman”. In 2009, she was voted the ninth sexiest Asian woman and in 2010, she grabbed eighth spot in the list of Asia’s sexiest women by Eastern Eye magazine. Mehwish Hayat’s upcoming Film Namaloom Afraad and Billi Item Song. Morning with Farah interview with Nausheen Shah Talented Model and Actress. 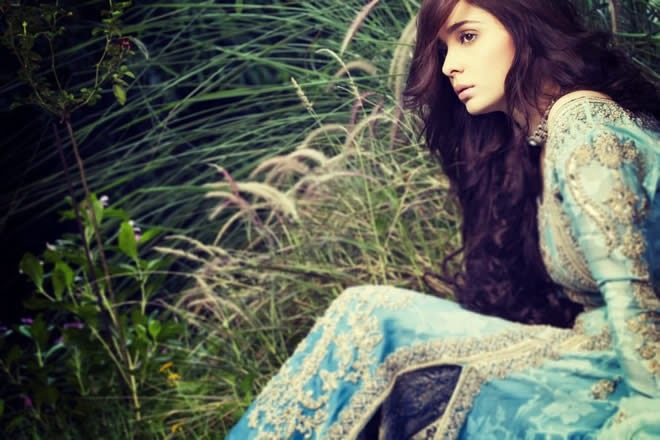 Amna Karim is one of the most popular and well known young fashion model and actress. She has done many TV shoots, plays and fashion shows. One of her project is “Kahay ko Biyahi Badais” and her celebrity light comedy show “Bano Tere Abba Ki Oonchi Haveli”. Her upcoming projects are “Rang Rangilay”, Karachi Tower and many plays. 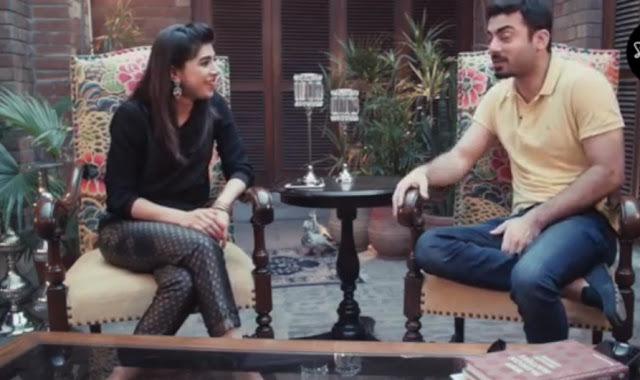 Morning with Farah interview with Hamza Ali Abbasi, Actor, model and film director. He is best renowned for his debut in drama serial Pyarey Afzal in which he did the role of Afzal. 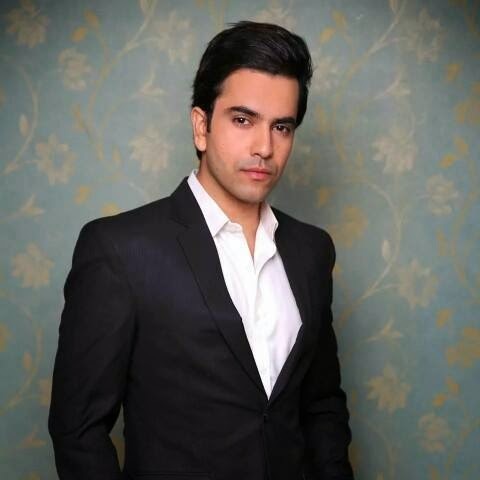 He is also known for his character as Azam in drama serial Meray Dard Ko Jo Zuban Miley. He started his acting career from theatre play Dally in the Dark in 2006 which was Shah Shahrahbeel’s production. 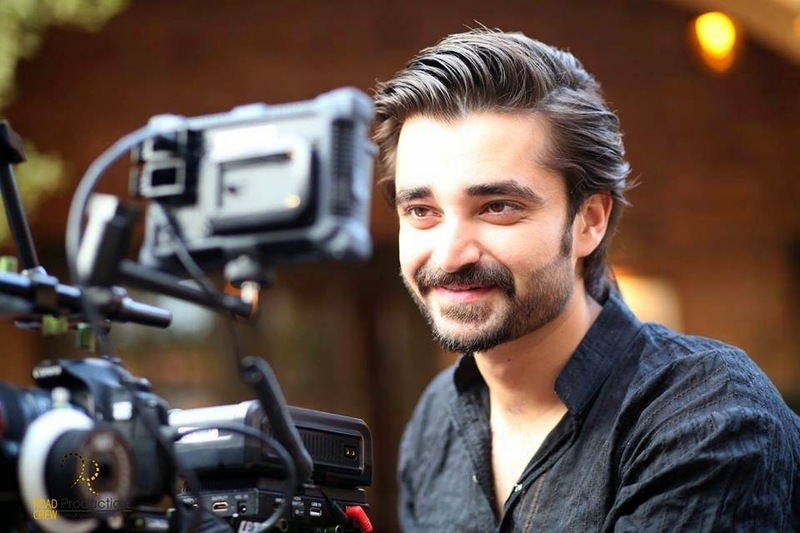 While in filmography he made his first debut in a short film Glorious Resolve (2010), a direction of Bilal Lashari. In 2013 he appeared in feature films of Pakistani Cinema, Main Hoon Shahid Afridi and Waar for which he received Best Star Debut and Best Supporting Actor awards at 1st ARY Film Awards.